Though you’d be forgiven for initially thinking that ‘Travis Bickle: The Post-College Life’ was playing out in front of you (with a healthy dose of Gaspar Noé thrown in), Antonio Campos’ Simon Killer (2012) soon settles into a unique and riveting psychological thriller. Simon (Brady Corbet) is a college graduate backpacking around Europe and nursing a broken heart after a recent split. Staying at the uninhibited home of a family friend in Paris, his growing melancholy and loneliness causes him to wander aimlessly around the city, until it eventually leads him to an awkward sexual encounter in an underground brothel. The prostitute Simon procures (Constance Rousseau) takes pity on him when he arrives back the following night – having been robbed after a scuffle in the streets – and agrees to let him stay with her for a few days. It’s not long, however, before he has insinuated himself into her life, suggesting a money-making scheme for the both of them and showing a different side to the vulnerable young man she previously encountered. 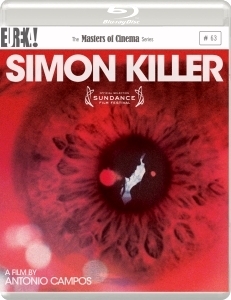 With the superb Simon Killer, Campos shows the same icy precision and formalist approach which made his feature-length debut Afterschool (starring Ezra Miller) so memorable, offering up an isolated and alienated atmosphere within the film’s setting, even extending as far as to the central character himself. Campos’ slow, studied zooms and often waist-high camera pans help build an impending sense of dread, with the sparse, clattering sound design offering further dislocation. Completely immersing himself in the titular role, Corbet is something of a revelation here. Having dipped his toe in the indie world for a number of years, with parts in well-received films such as Mysterious Skin and Martha Marcy May Marlene, this is the kind of meaty role which should see his stock rise considerably. It’s a fearless performance, with his doughy, unkempt exterior slowly giving way to a cold-eyed sociopath bubbling underneath. We’re offered fragments of a back-story through strained online conversations with Simon’s mother (and a telling letter from his guarded ex), but our protagonist remains largely an enigma for the course, which Corbet manages to protect even when there is a behavioural shift in the character. If Campos ends Simon Killer on an irritatingly ambiguous note – which is more frustrating than contemplative – it’s a minor blip in a piece which reaffirms the arrival of a confident and thoughtful visual artist, who is a film or two away from genuine greatness.